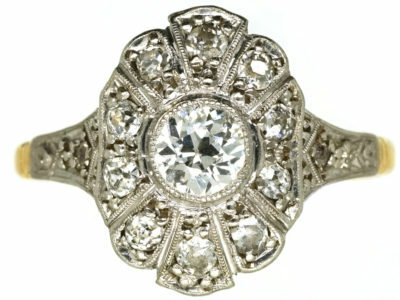 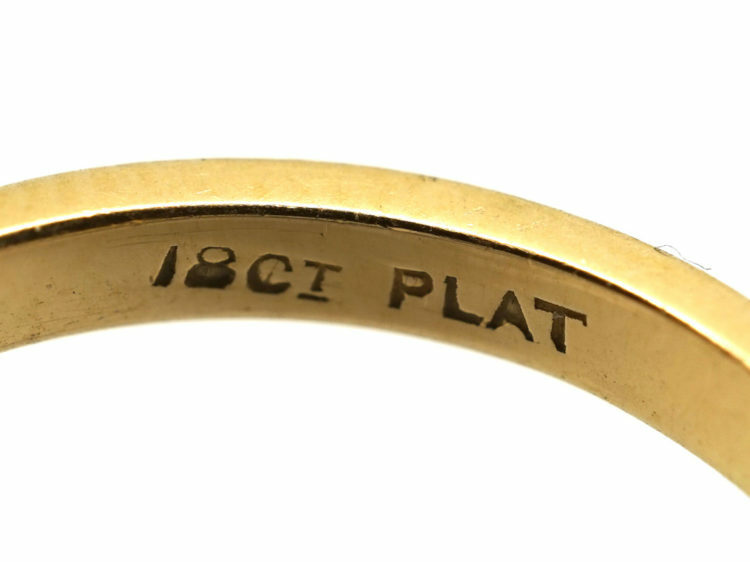 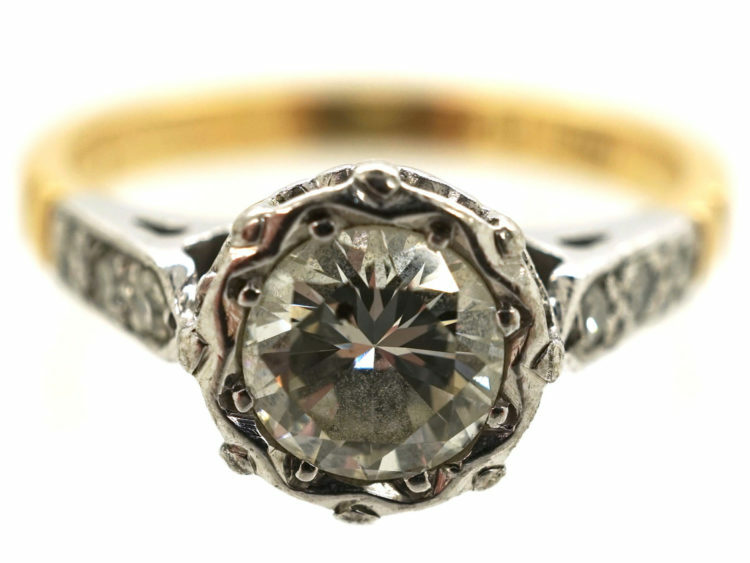 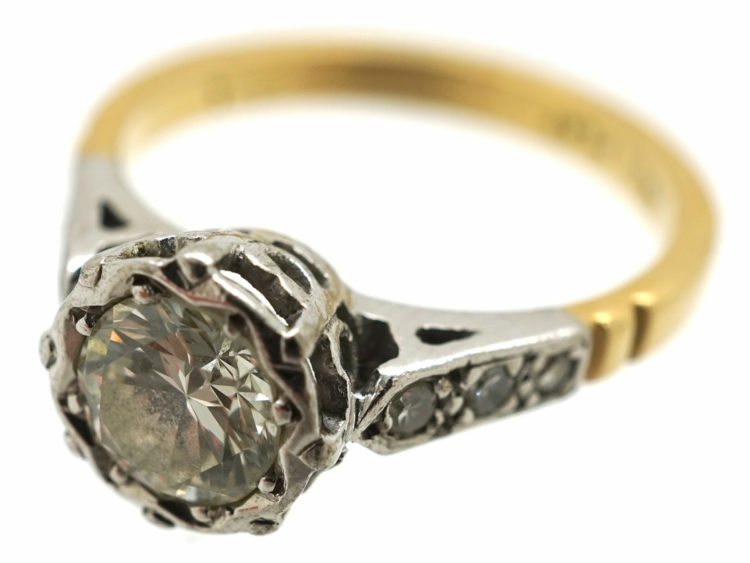 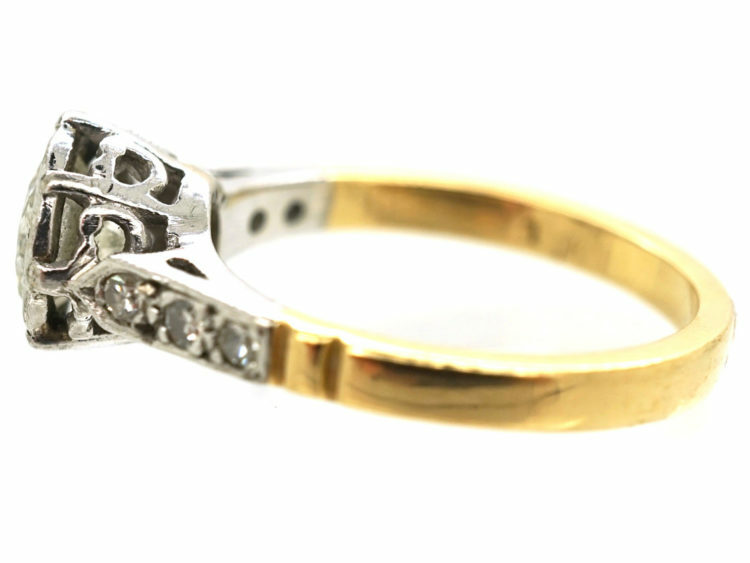 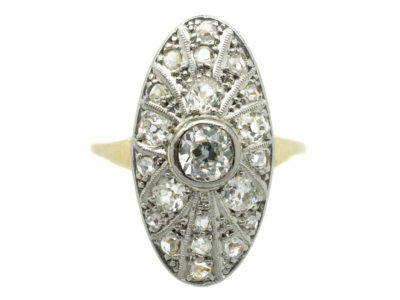 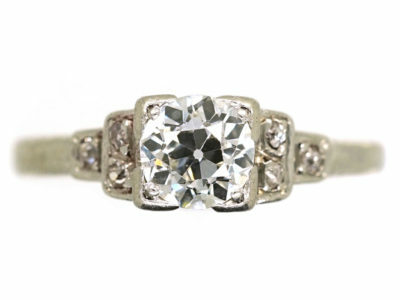 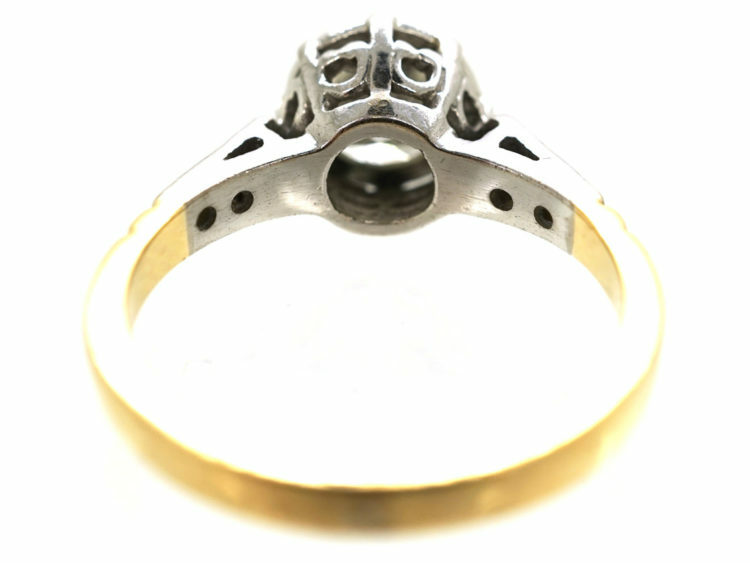 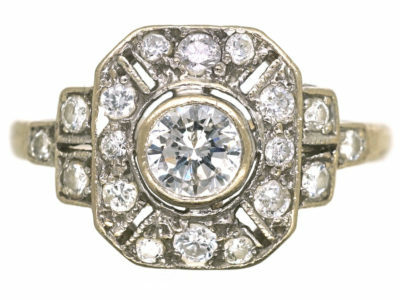 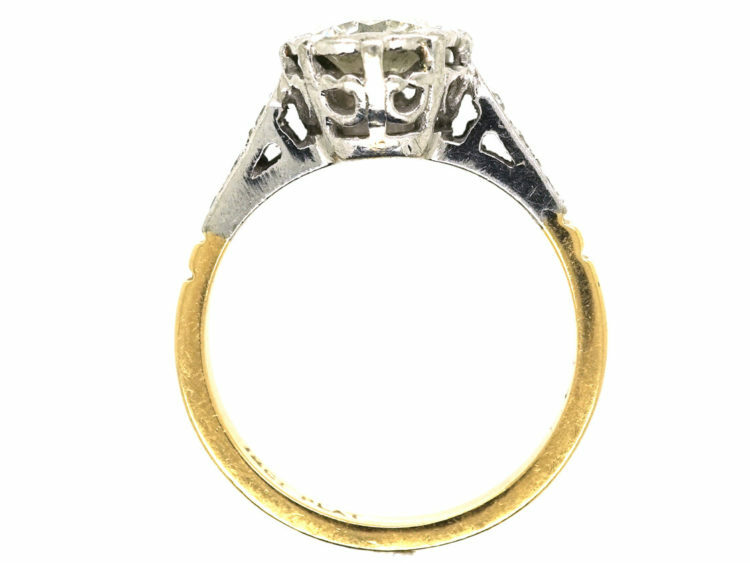 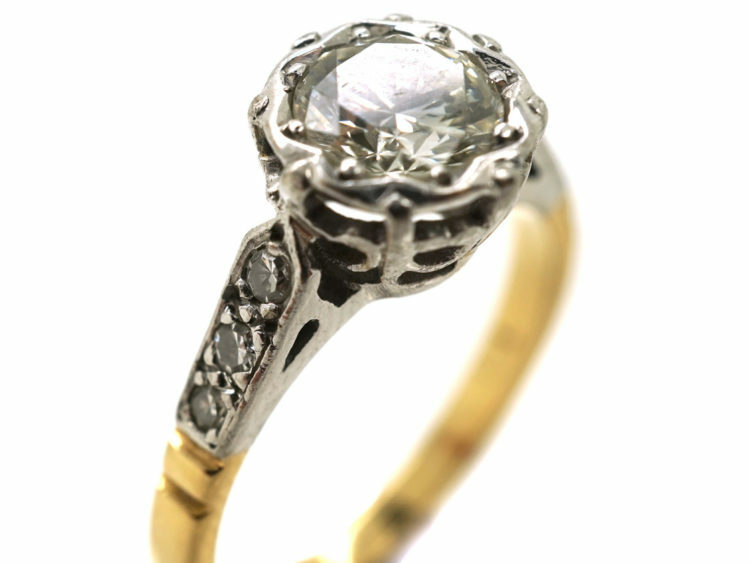 A lovely 18ct gold ring with a platinum top that was made in the 1920s. 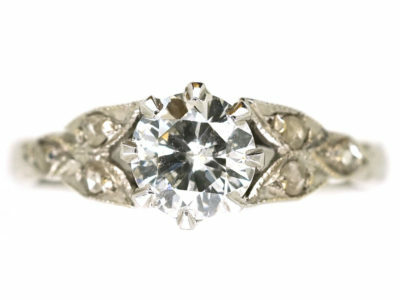 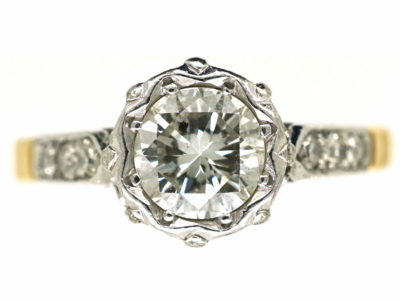 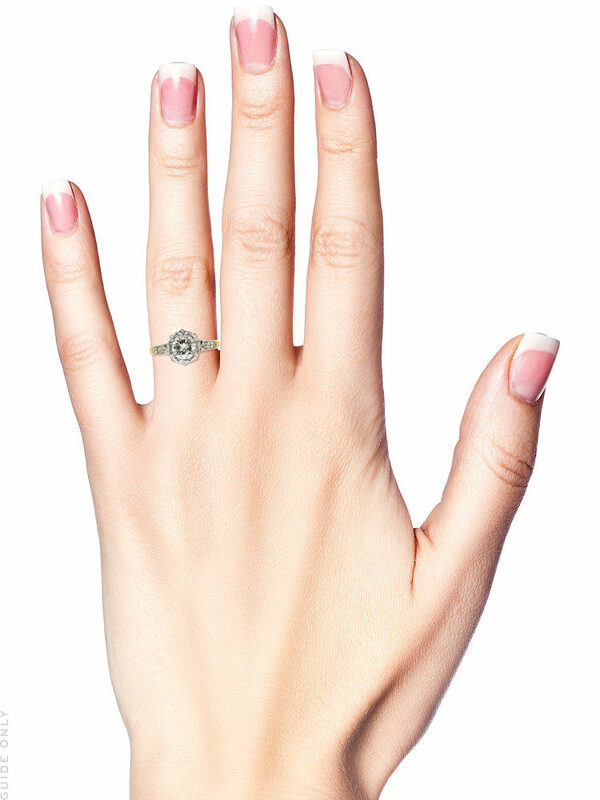 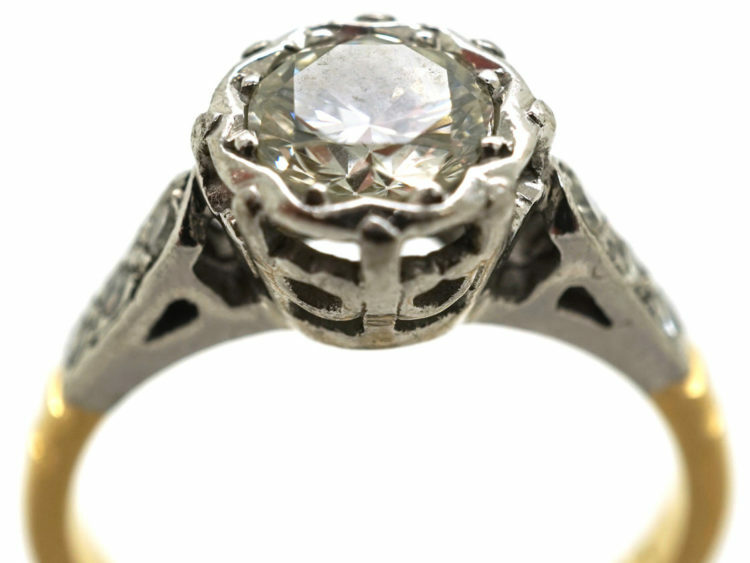 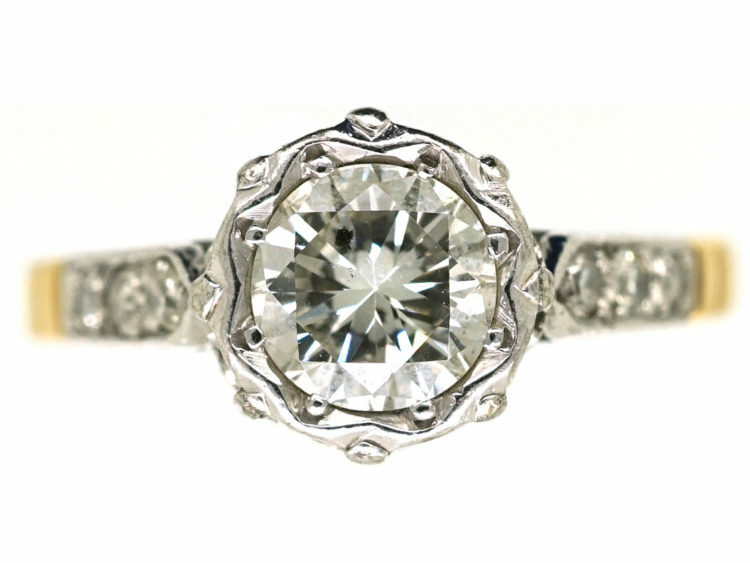 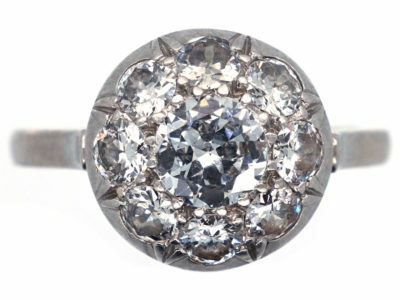 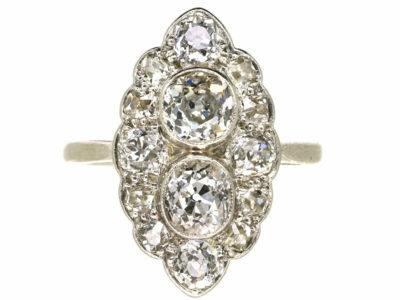 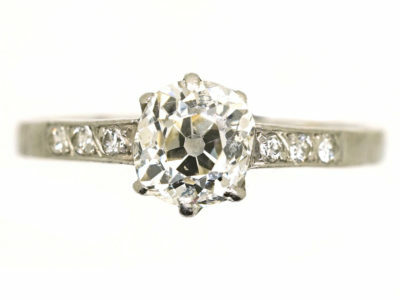 It is set with a sixty five point brilliant cut diamond within a scalloped setting. 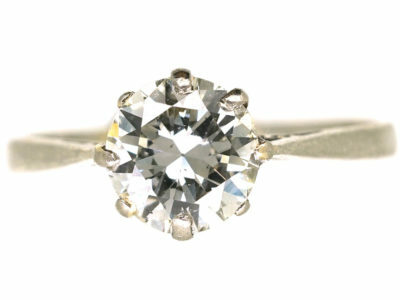 On either side the shoulders are set with three small diamonds. 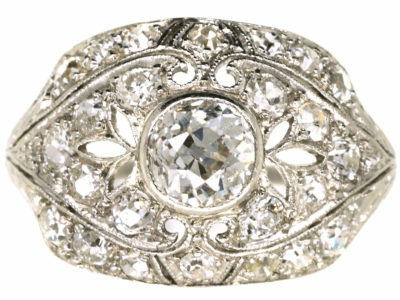 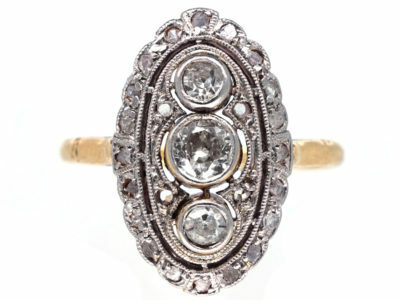 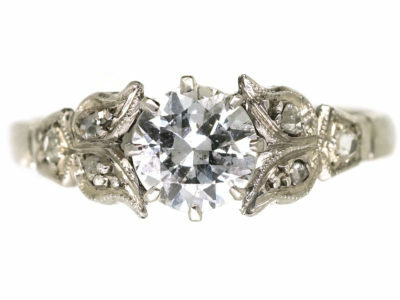 It would make a perfect engagement ring.